1st of July is ID Your Pet Day, to spread awareness on the importance of it. Many pets go missing each year for various reasons: a gap in the enclosure, panicking from fireworks celebration or thunderstorm, running off during a walk, etc. Identification can make all the difference if your pet goes missing. Your dog should always have a collar with an ID tag that includes your name, current phone number, and any other important information (such as medical conditions). Call “Valley Creations” for a custom made Pet ID Tag. 50 Ksh per tag goes to TNR Trust! 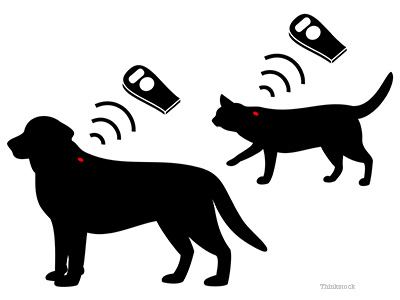 Unfortunately, collars and ID tags are not foolproof and dogs and cats can still get lost. Collars can break or fall-off, leaving your beloved pet among the countless, unidentified lost strays. Many of these tragedies occur every day worldwide, but the fact is that it can easily be prevented with the use of microchips*. However, keep in mind that a microchip is only as good as the information you link it to. If it isn’t up to date, it won’t help get your pet home! If you’ve changed any of your contact information (phone, address, even email) make sure you update that information immediately. ID Your Pet Day is your yearly reminder to double check that all your pet’s identification information is correct! A microchip is an implantable computer chip that contains a unique identification number. This number is not much use on its own, and needs to be linked to your information in a regional database. In Kenya, that database is kept by the East African Kennel Club. Microchips are no bigger than a grain of rice. They are placed under your pet’s skin with a needle and syringe, not much different from a routine vaccine. A microchip only carries its unique ID and can NOT be traced using GPS. They are a very reliable method of identification, but they ultimately depend on the information that you give. So remember to update your information and provide multiple emergency contacts in case your pet gets lost while you are out of town. Contact KSPCA to file a Lost Report. Be diligent. Stop by KSCPA as often as you can and walk through the kennels on your own to see if your pet was brought in. As the main shelter, KSPCA is often overwhelmed and bursting at the seams. Through the kindness of strangers, Toffee was kept from getting hit by a car and they notified TNR Trust to come and help catch the little rascal. After giving us a bit of a merry chase through the woods while trying to dodge ISK School traffic, we were able to catch her and bring her to the vet for a check-up. Toffee had a nasty looking wound that looked like an injury from barbed wire, but she was fine once it was healed up. She also received rabies and tetanus shots and was dewormed. As she did not have a microchip, collar or tag, we posted her on our Facebook page and other forums. The owners saw the poster and contacted us. They footed the full vet bill and were made aware that if Toffee would have had a microchip, they would have been reunited much quicker. Previous Previous post: Lovely Lady is learning how to be a dog – could she be yours soon?